What Is The Secret To Making Money With SFI ? Persistence, perseverance and duplication are the key features in SFI that lead to making money here. It will create an opportunity to tap into residual income, direct commissions and much more. To achieve this, SFI has presented with plethora of aiding tools to grow and expand your business in to a successful one. It is very important that we understand them and know them one by one and how they help you grow your earnings? 1. Daily Tasks: Visiting all the tabs daily keeps you abreast with the developments in each section and earns you a valuable VP; entry into Daily Grand and upon completion of 10 VP for the day your entry into E 365 contest is done. You can earn $50 in cash with a win in E365. This provides you with opportunity to grow your business faster. Further to this your VP total can be greatly increased to 500 and more through these actions. 2. Weekly Tasks: Helps you inform and / or train your team members through stream posts and PSA/ CSA/ team mails. This also provides you with valuable 23 VP for the week. 3. Monthly Tasks: Provides you to set the direction you would like to move upon by setting Goals and provide you an opportunity to maintain good relationship by rating your sponsor and co-sponsor. Further, visit to T connect page help you acknowledge your active growth and provide you to improve it further by having more member listings and badges. In doing so you can accumulate 20 VP for the month. 4. 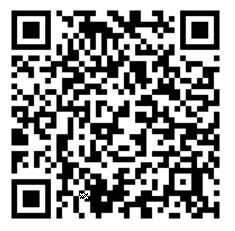 Visiting TC Page: Provides you the opportunity to know about deal of the day and other useful products that can be bought or sold or promoted to your team members. If you buy them you get the valuable VP attached to them and the product at discounted value and if you sell them you are entitled for 45% of the CV as your direct commissions. Team building products can provide immediate impetus to your growth. 5. EZ Games: Give you a direct opportunity to win various Zackpot prizes on hourly; daily; weekly or monthly basis. $20 Gift Certificate can boost your business growth. Your winnings help you achieve your goals faster and it is all fun involved in it. You can earn up to 200 VP in a month to reach your goals. 6. PB Auctions: With variety of products on auction you can choose as per your choice to participate in to win at considerably lower than retail price. With your participation each T Credit spent provides you a VP and MRP to have a healthy way to enhance your VP tally to reach to your rank targets. You can earn up to 500 VP in a month. 7. Marketing Materials and Aids: This help you have product; games; auction; business growth banners posted on your website or other websites through social media or other means to promote your business in many ways. 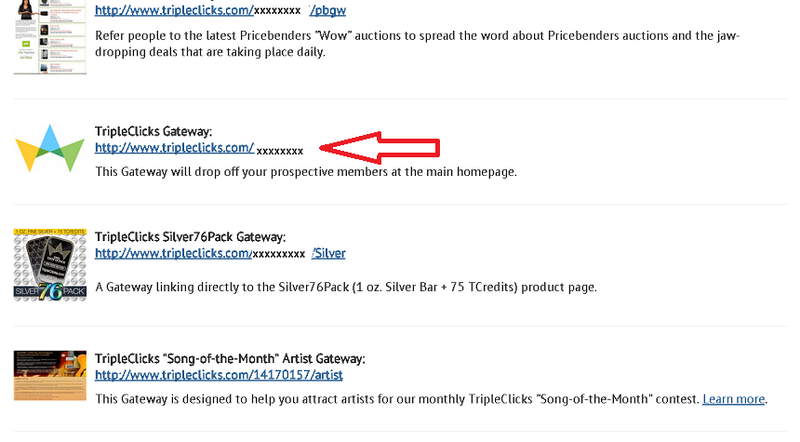 You can also track results of your marketing efforts through hit tracking on your URL. Just keep a key code to track it easily. 8. Training Material: A very comprehensive material has been compiled by SFI to help your growth at each step. Just follow it to take advantage. 9. “Friend’s Challenge” for EZ Games and “Share and Win” with PB Auctions are other means to advertise and grow your team and your earnings. 10. Gift cards, TC Cards etc are other means to effect your growth. You can really have an advantageous position in your business if you can use the listed points above in a coordinated manner. Just remember that you have to be persistent in using them daily and promote it to your team first, to get duplication started of your efforts at the earliest. These steps would not only help you grow your earnings but your business on the whole. When looking for the best way to find places to advertise SFI, you need to be crystal clear which demographic group are you targeting. Who and where do you find your most ideal prospects? When you focus and go after a well-defined target market, you’re aiming at prospects that are the most qualified for your SFI business. - Professionals, such as teachers, financial advisers, etc. -Stay at home moms, etc. I have no doubt; you have encountered the above demographic groups before. That’s a good place to start, narrowing down your choices and focusing on prospects first that are easiest to connect with. Once you have defined your specific target market, it becomes more obvious as to where you can find these specific kinds of leads. You’ll be able to create a plan to connect with hundreds (even thousands) of your exact targeted group, and start building out your network. 1. Attend live networking events. This approach is probably not new to you, but this proven method of prospecting is still the most effective. Nothing beats getting out and meeting people, face to face, to create the kind of solid relationships that can lead to new business. What can make a big difference in your results, however, is where you attend the networking live event. Research your area to find your specific target market. By doing this way, you’ll only be ‘fishing’ in the places where you’ll find the exact prospects you want. Great resources such as Business Networking International, Chamber of Commerce, etc. can help you more about finding your demographic groups. It is best to look for the groups most closely connected to your target market. If you are looking to recruit more moms into your team, search out the local PTA (Parents Teachers Association) groups in your area. If you are looking for baby boomers or business professionals, you may want to check your local clubs (tennis/golf) to see what social groups they offer. Social media sites such as Facebook, Twitter, Linked In, Pinterest and others are hot places to connect with new prospects. The major advantage to all of these sites is they make it fairly easy to find large groups of your ideal prospects, so you don’t have to find people one at a time. Facebook: You can search for your ideal prospects by keywords by using the search bar to find the groups you’re looking for. You can search for teachers, financial advisers, baby boomers, etc. You’ll be surprised to find several places where these demographic groups are getting connected on Facebook. Think strategically, what topics would be of interest to your target market? Join their groups and start interacting with them. You can do a similar approach on Twitter to search for our target market. Be aware though that when networking in the social media sites, don’t simply join a group and start bombarding your business opportunity to people. You’ll be turning them off quickly and you’ll likely to be banned from their groups. The best approach on all these social media platforms is to connect with new people, add value in whatever ways you can (sharing ideas, resources, articles, etc) and build relationships. 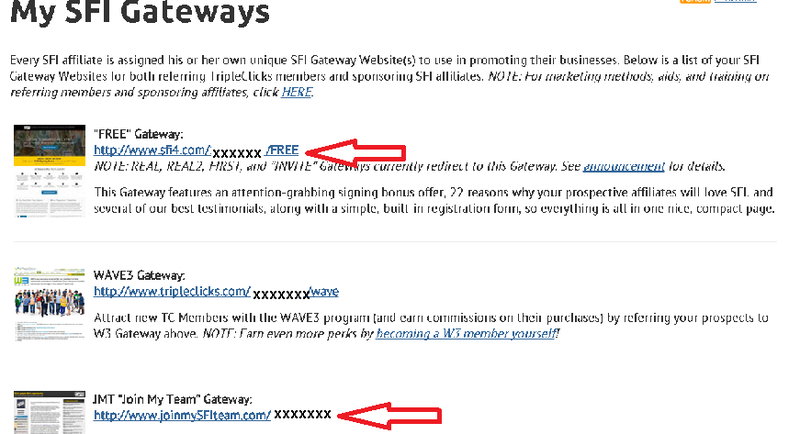 Ideally, if you have a great free offer that relates to your SFI business (helpful tips/ideas, a link to a relevant article you’ve found or that is posted on your own blog/website, etc) you can use this as a way to attract attention and direct some of your connections to your own SFI website. Attending trade shows gives you the opportunity to do networking, and the possibility of meeting hundreds of people in your target market. It’s quite astonishing how many different kinds of people or demographics have their own formal “association” and conferences or trade shows connected to them. You can search the web for more details on particular trade shows or conferences that are relevant to your target market.